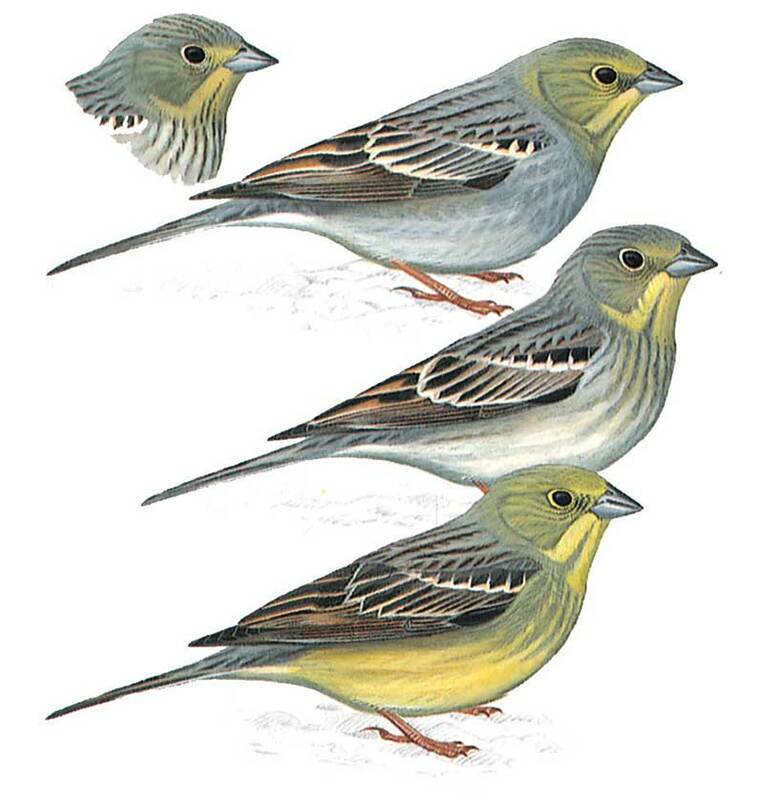 Medium sized bunting with blue-grey bill, narrow yellow eye-ring and white in outer tail feathers. Male has yellowish green crown, sides of face and throat, with otherwise greyish plumage, including unstreaked grey rump. In autumn upper breast is streaked darker. Female is olive grey-brown, streaked like autumn male. Throat has buffish or yellowish tinge, streaked crown tinged grey-brown or yellowish -brown.